Who are Direct Traveller Holidays for? There is nothing like family time! By that we mean real quality family time, for example an uninterrupted week of relaxing by the pool, or on the beach with your children or grandchildren. Direct Traveller family holidays are tailored for their family value. We have free children places, free facilities for children, and a wide range of accommodation that is child friendly. Facilities include aqua parks, children pools, children play areas, nursery, baby sitting or fun and games areas. However old your family is from infant to teens to even adults you classify as a children, you are set to have the quality time you deserve. 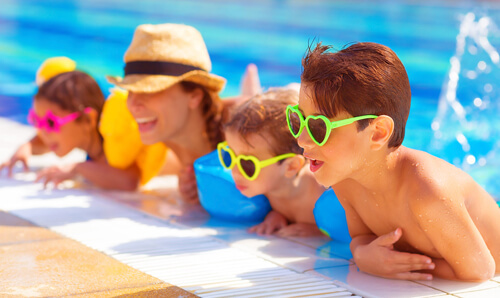 When travelling on family holidays its vital you ensure that safety is at the forefront of your holiday. Direct Traveller hand selects hotels ensuring the standards are high, and we also have our own dedicated representative services at hand to assist you if you have any issues while at your chosen destination. Direct Traveller’s family holidays are available at all of our selected destinations from North Cyprus family holidays to UAE, Turkey, Cyprus, to Malta and Croatia, we have hotels that will surely be suitable for your family holiday. Direct Traveller offers a wonderful range of holidays for couples. From large 5* hotels that give you space to yourself, to the more quaint and romantic hotels that offer a boutique setting and total charming interaction. Our couples holidays are available on our beach resorts of choice, or cities such as Istanbul which offer a time to enjoy exploring and seeing new sights together. If its beach time you would prefer though, why not take a fly-drive and visit Karpaz panhandle of North Cyprus, that’s guaranteed to give you the alone time you need. Many couples also enjoy socialising with others, and our key hotels such as Piabella in north Cyprus or The Chedi in Muscat, Victoria Hotel in Malta give you the perfect setting for just this. These popular hotels are guaranteed to have many like-minded couples enjoying their holidays at the same time as you, so you can make some great new friends. Holidays for mature singles can be taken on a group of singles or individually. These are known as singles holidays or solos holidays. All of these demand the same key ingredient, social time. Getting to know other singles is a great way to make new friends and see new sights with others even when you have nobody to travel with. People in-fact go on singles holidays when they are married, and they leave their spouse at home, while they venture out and see the world. Singles holidays can be created with a social itinerary of sight seeing, restaurants, and nightlife, to activities and relaxation time. The combination ensures that your holiday away is not only active but also relaxing. Getaway from it all and meet new people with Direct Traveller singles holidays for mature travellers. We all want to feel special, and that’s a no-brainer with Direct Traveller. All of our holidaymakers are treated as VIPs. Some of our travellers however also want this VIP treatment in their entire package holiday, from VIP transfers, to a premium 5* hotel with butler service and even a private guide. Direct Traveller can cater for all VIP holidaymakers, and with our professional knowledge and multi award winning service we know we can exceed the expectations of our VIP travellers. For VIP travel we tailor-make all aspects of your trip. Nothing is left behind as we fine tune your getaway to your requirements. We ensure you get exactly what you desire from your break, and the tailoring of the holiday will meet the requirements of all of your travelling party as we strive to ensure your holiday is perfect. Some VIP hotels we can recommend range from the Cratos Premium Hotel in North Cyprus to Voyage Belek in Antalya. Others can be obtained on request, and we can arrange all aspects of your trip before, during, and after departure. Direct Traveller is preferred by those in later life. We deliver a service that they adore which includes reliability, punctuality, and professionalism with a personal touch. Later life holidaymakers are just like others, yet the locations they travel to may vary from younger travellers. We know this and cater fro their needs. Direct Traveller travel destinations are full of culture and history and natural beauty. Our holidays deliver exactly what over 50’s, over 60’s and OAP’s desire. Later-life Holiday types include long stay holidays where you can getaway and save costs while soaking in the sunshine and saving on your large UK utility bills. Guided tours give you a driver and guide who will take you around giving you a well paces voyage of discovery while having the protection of someone on the ground. Other holidays of course also include all types of beach holidays and more. As we specialise in holidays for over 60s you will get the best possible service from a company that truly understands you, and that’s priceless! We all love travelling with our friends as it gives us the perfect time to have a giggle and socialise. Enjoy a refreshing beer with you friends or watch the world go by with a glass of Rose in the shade of the palms with a sea breeze. Sound ideal? Well we think so too. Holidays for friends can be tailored to incorporate a hotel complex that is large enough for your group size. The larger the group of friends, the more the needs will vary. We will include any activities you require for your travels such as a round of golf or just have you relaxing on the beach watching the world go by. Whatever the desire for your friends holiday, we can arrange this for you.